Thank you for joining us today as we retrace the last steps of Jesus. Holy Tuesday was a very busy day for Jesus. The bulk of His final teachings come on this day. So much teaching, I will not be able to cover all of it here. I have added links to my posts in an old series I wrote on Holy Week. 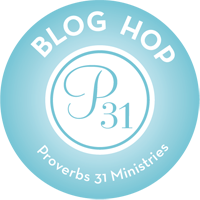 I encourage you to take the time to read the three post referring to Holy Tuesday. Once again, please keep in mind that the timeline of this week is a rough estimate. While the stories themselves in the Gospels are essentially the same, the timeline is not (John’s is the most different). Also keep in mind that the Gospel followed the Jewish Calendar, in which days were counted from sun down to sun down. Therefore, day 3 would be our Monday evening to our Tuesday evening. For those of you who prefer videos here is a brief look at some of Jesus’ teachings on Tuesday. I wrote the above series in 2014. I have since learned a few things so, as we go forward, you will see where God has taught and grew me. Are you helping to feed the poor? Are you reaching out to strangers? Been to a prison or jail lately? What have you done for the sick? Don’t just pass over this. Jesus was clear. He will separate the sheep from the goats by THIS standard. We can say we love and follow Jesus but our actions tell the truth. There are ministries out there that need your help. There are people out there that need your help. You have God encounters more than you think. Times when God is calling you to reach out to others. Do you hear him? Are you listening for Him? I encourage you today, this Holy Tuesday, to look for an opportunity to reach out to those in need. And, then, keep doing it.